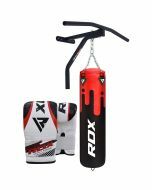 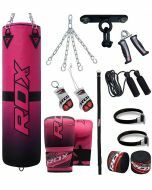 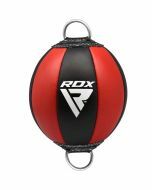 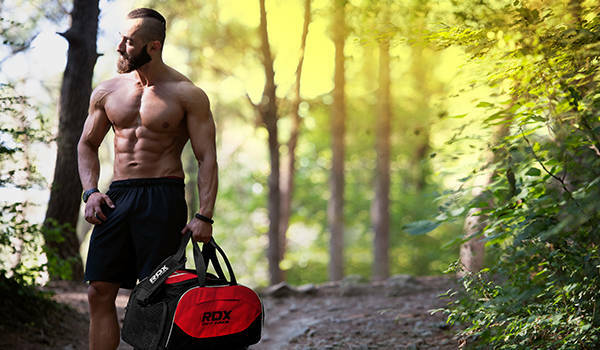 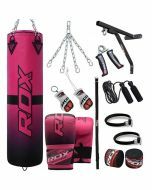 The RDX 17 pc punch bag set is made with Maya HideTM Leather and G-Core twinned layer for an enduring and resilient punch bag that will last you a lifetime. 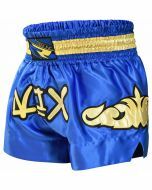 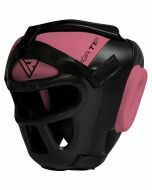 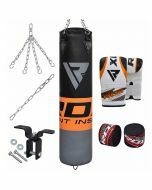 The punch bag is double-stitched and triple-bolted for durability. 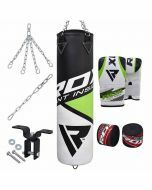 A zip top gives you fill customization options for your personal preference while the tethered loop can be fastened to keep the bag in perpetual rest position. 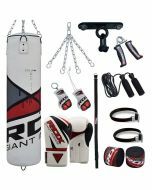 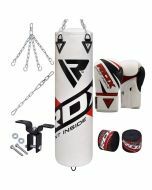 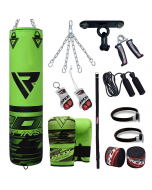 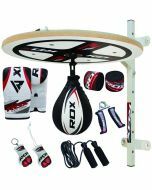 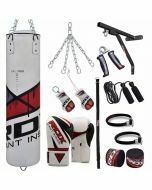 This punch bag set comes with a pair of bag mitts with gel foam padding, and an assortment of fittings and fixtures to mount the bag on the wall. 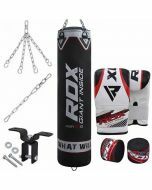 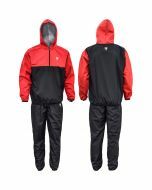 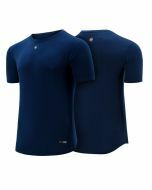 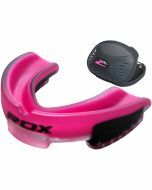 Moreover, the set also includes a pair of hand wraps, jump rope and hand gripper. 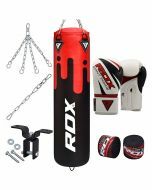 A number of accessories, such as keychains and keyrings, are also included to sweeten the deal.